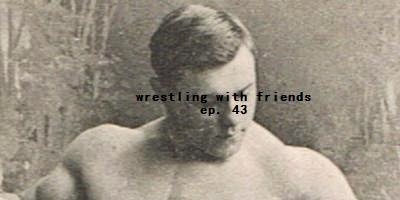 We see you there licking your chops and getting hungry for another episode of Wrestling With Friends. Well, never fear, as Blake, Andy, Erik AND Mr. Wrestling II are all hear to satisfy your cravings! The first course is served up with a savory plate of news with discussions on NXT happenings, Bo Dallas' departure, Randy Orton the movie star, TNA's latest (last?) champion and some upcoming Ring of Honor event morsels. Whew! Hope you're still hungry for more! The next course sees the Friends braving space travel once more on their visit to another Alternate Universe. In this one, the Survivor Series is gearing up, but only with participants that each Friend thinks would make up their personal Dream Team. This delicious meal ends with a divine dessert of #65 picks from the List. Plan for some nap time after this feast! Final Song - Static-X, "Love Dump"